In 2015, the United Nations General Assembly adopted a set of 17 Sustainable Development Goals. Since then, more and more businesses have adopted their own sustainability and corporate responsibility programs that establish environmentally responsible practices and products. These are not just touchy-feely programs - a recent Forbes report found that 35% of employees would take a 15% pay cut to work for a company with a commitment to sustainability. A worldwide initiative for more sustainable practices means there is more demand for products and innovations that create higher-efficiency, healthy spaces that reduce dependence on natural resources and can improve occupant health and productivity. Sustainably-sourced materials can be anything that’s been recycled: metal, paper, wood, glass, and plastics. Rapidly renewable products such as bamboo, cork and sorghum grasses are also sustainable materials – these can be grown and harvested in a short span of time, without depleting the natural resource. We’ve found 10 sustainably sourced products that builders and interior designers should check out this year, as they grow in popularity. These products lend a natural beauty to commercial spaces and provide a range of benefits to the environment. Let’s take a look! Mix and match these carpet tiles, made from recycled materials, and create your own masterpiece! Modular carpet tiles from companies like Flor are are reusable, recyclable, and do not require any glue to install them. You can arrange them however you like – let your creative side shine through! The list of uses for coconuts is quite extensive, and includes more than just using the meat or oil in your favorite dishes. The hard shell of the coconut has been used in a number of different applications, and Kirei has developed Coco Tiles using reclaimed coconut shells that are left after being harvested. Perfect for a backsplash in your office kitchen, or as a decorative wall statement. Did you know that about 1.23 trillion bricks are manufactured every year, resulting in an estimated 800 million tons of carbon emissions? 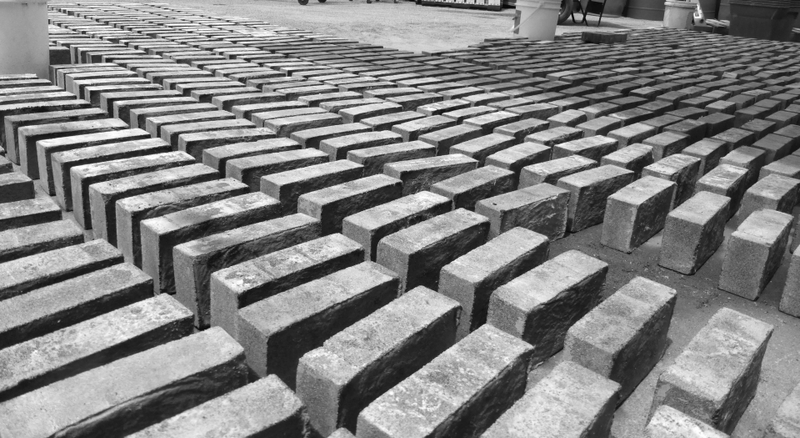 Bio bricks are one of the latest solutions towards reducing carbon emissions and preserving the environment, and these don’t need to be fired in order to harden, like traditional bricks. Biotech startup, bioMASON, uses natural microorganisms and chemical processes to “grow” these innovative bricks. These can be used for the exterior of your home, or for adding a creative, yet environmentally aware touch to your home or office interior. Recycled aluminum is collected from a few different sources: soda cans, auto parts, appliances, etc. The recycled material is broken down, then melted at a high temperature, and can then be poured into molds. This sustainable product is a great choice, since it relieves overload at recycling facilities. 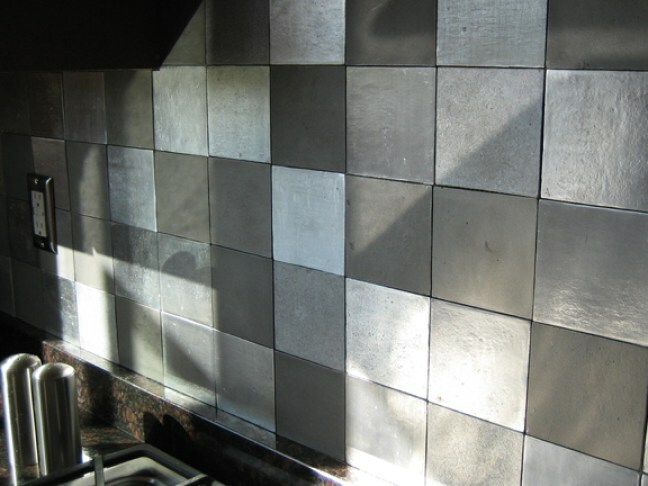 Recycled aluminum can be seen in the applications seen from Eco-Friendly Flooring, is great for countertops, wall finishes, backsplashes, or wherever you might want a creative and environmentally-friendly design element. Sorghum grass has long been a food source used by countries around the world. When harvested, the stalks left behind can be reclaimed and manufactured into gorgeous, lightweight, durable boards. Sorghum is a unique replacement for wood in a number of products, including cabinetry, furniture, or wall paneling. The Kirei board is made from reclaimed sorghum straw, and contains no added formaldehyde. It can help designers and builders meet LEED certification or other green building standards. Many manufacturers are helping to reduce the use of plastic by incorporating recycled plastic into their products. 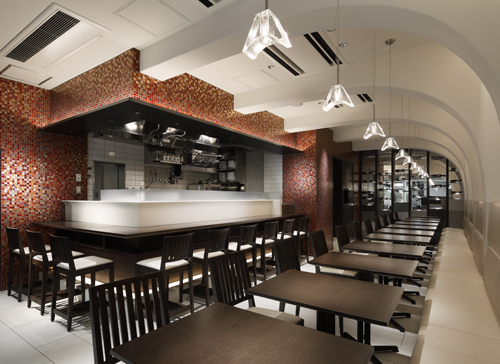 Kirei has created sound-absorptive recycled plastic tiles and panels, designed for use in commercial spaces. 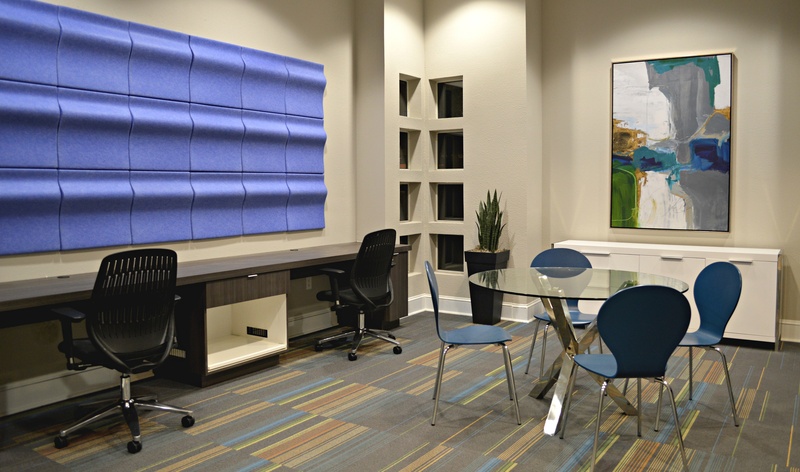 These easy-to-install panels control sound in your office, conference room, or lobby, and add eye-catching style to any design. Glass is used in a wide range of household products, and when it’s discarded, it can be manufactured locally to create tiles, accent walls and backsplashes in offices, homes, and other spaces. Vetrazzo sources recycled glass to create these gorgeous tiles, which are then used in wall applications, tabletops, counters, or wherever you need a unique design element. Silica sand is a natural resource and is among the most commonly found minerals on the planet. Oceanside uses silica sand and combines it with recycled bottle glass, obtained from local curbside recycling programs, resulting in beautiful tiles that can be used as backsplashes, in swimming pools, and on accent walls. 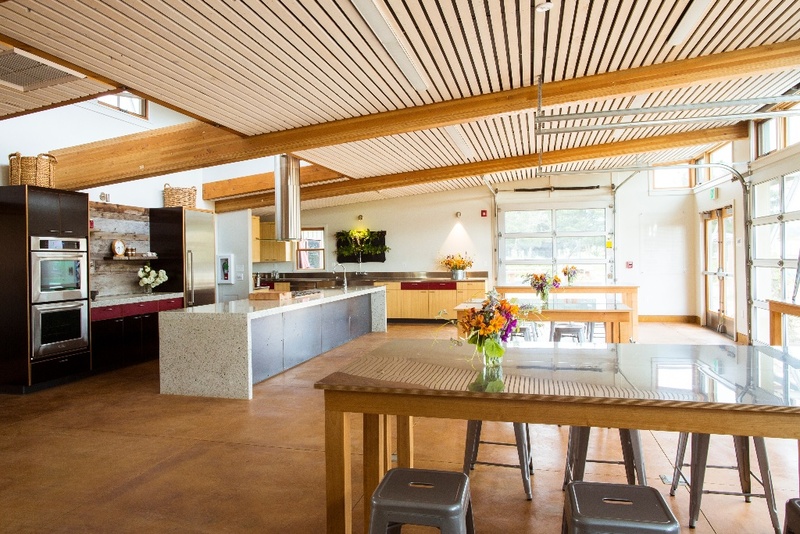 Using reclaimed wood in design projects, like The Old Wood Co. does, has been a growing trend for the past decade. 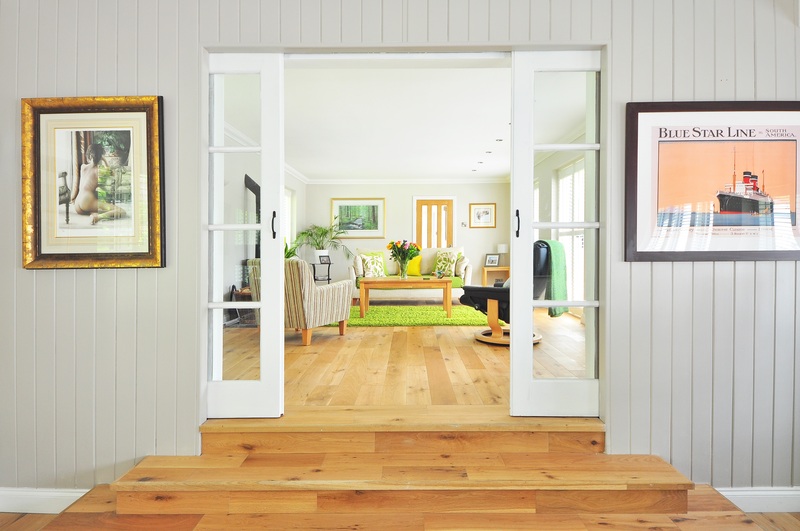 The wood can be taken from demolished buildings, railroad ties and even barns to be used in a number of applications: office furniture, cabinetry, wood flooring, or counters. Healthy buildings are top-of-mind – for everyone from architects to designers to commercial building owners – and it’s important that design projects include sustainable, healthy materials and products. The companies we’ve listed have created beautiful, sustainable products that support the healthy building movement and will hopefully inspire your next project.